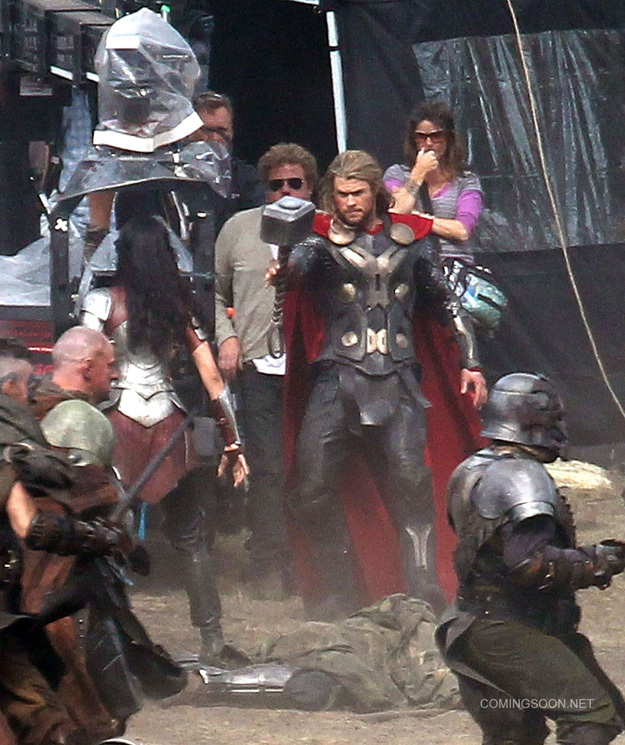 New Photos From the Thor: The Dark World Set! ComingSoon.net/SuperHeroHype.com have received more photos of today’s filming for Thor: The Dark World in Bourne Wood, Surrey. You can view the photos by clicking here or on the image below! Directed by Alan Taylor, the sequel is now filming for a November 8, 2013 release. Chris Hemsworth, Natalie Portman, Tom Hiddleston, Jaimie Alexander, Idris Elba, Zachary Levi, Stellan Skarsgard, Christopher Eccleston, Kat Dennings and Adewale Akinnuoye-Agbaje star. Click the photo below to view the gallery!